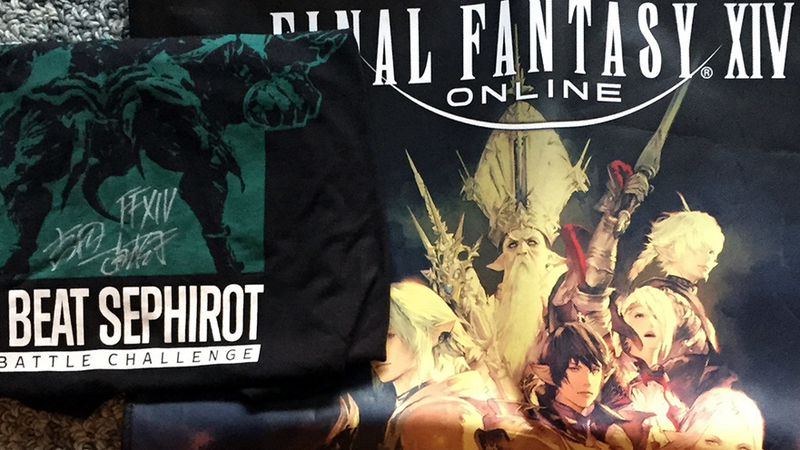 At this year’s E3 we were able to get not one, not two, but three “I Beat Sephirot” shirts signed by Naoki Yoshida! We also happened to grab a few extra FFXIV bags from the event… and now we want to give them to you…and you, and you! We asked the Final Fantasy XIV Team a super important question about how they would change a primal. Now, we want you to answer the question as well! How would you change a primal? Would you make Ravana the master of fried rice? Would Bismarck be the god of snacks? Read the Q&A with the FFXIV Team to see some examples (really, please read them, we’re not looking for in-game mechanic changes) and then e-mail your answer to us at [email protected] by Friday, October 21st at 11:59PM PDT and we’ll read some of our favorite submissions live and announce the winners. 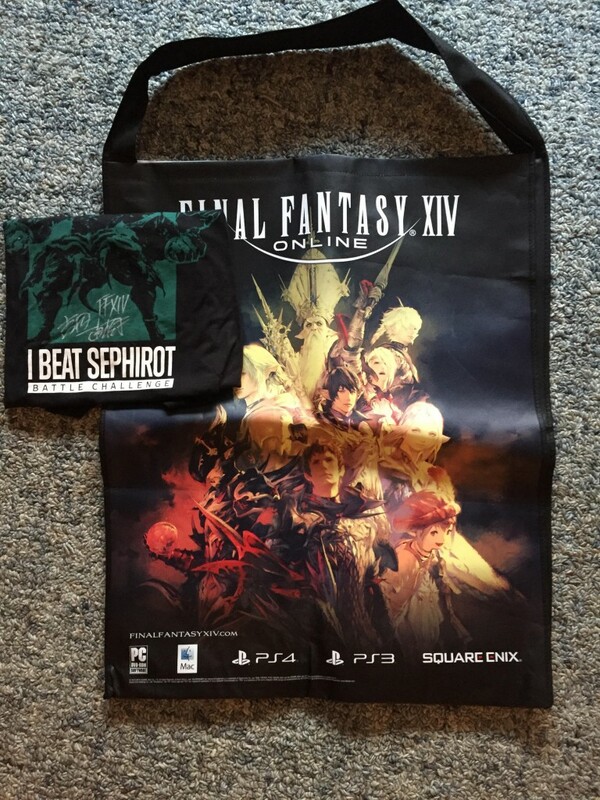 Three winners will receive 1x “I Beat Sephiroth” t-shirt signed by Naoki Yoshida and 1x Final Fantasy XIV bag from E3 2016. This contest is only open to residents of the US and Canada.